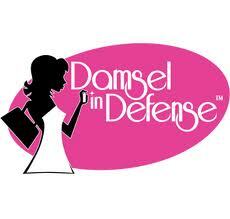 Damsel in Defense Personal Protection & Safety Products – Everything Your Mama Made & More! I am starting to run again training for my 1st 5k in August and one of the big reasons I have avoided it in the past (besides being SO out of shape) is we have some large aggressive animals in out rather rural area. Did you know just zapping a stun gun in the air will turn most dogs & other animals away without hurting animal or humans? 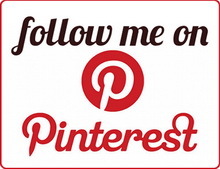 Recently when thinking about this I saw a friends post on Facebook and was able to talk to her about some great personal safety/defense/protection items including their safety features like disabling pins on stun guns (which is a must with small kids) and wanted to share them with my readers! These ship to most* states in the US, some items will ship to all. I know a lot of my friends mentioned they THOUGHT about looking at this but did get around to actually checking out. When they did they were surprising pleased so I ask you to take a few minutes to check it out! They have great quality self defense/personal protection products from stun guns all the way down to small key chain sized personal alarms that are GREAT for kids & teenagers. I was stunned at the quality of their products as well as the reasonable prices & I can’t wait to get my order! If ordering small items you get your best bang for your buck by getting a few friends to order together. These are great for recent graduates as well as real estate agents & other professions that have you travelling or alone at times. Many of their items also come in black & are great for guys & boys too. I am late to the game on sharing this as she is closing up the sale tomorrow night (5/8 11pm PST) so please take a look. If you have any questions she would be happy to answer them! If you are interested in hosting a virtual web based party she can & will do that for most states across the US! The tiny take down is one of my favorites, it’s small and feels nice in your had but is very effective and road trip auto tool is a seriously a must have for males & females of any age. *NOTE: Pepper spray cannot be shipped to MA, MI, NY or WI, or via any air delivery services (Overnight, 2 Day, etc. ).